What do you do when you're feeling under the weather and haven't had enough sleep? Curl up in a corner with some wool and a crochet hook. This is the next contribution to the granny square pile, and I haven't even started on the carrier bag! There looks like there will be plenty more of these to come. That is the way I feel this spring and summer. Sit down hand work is about all I have gotten done. Hope you feel better soon. I had a day like that on Wednesday and, whilst I should have been writing a paper, I sat and knitted for Button. 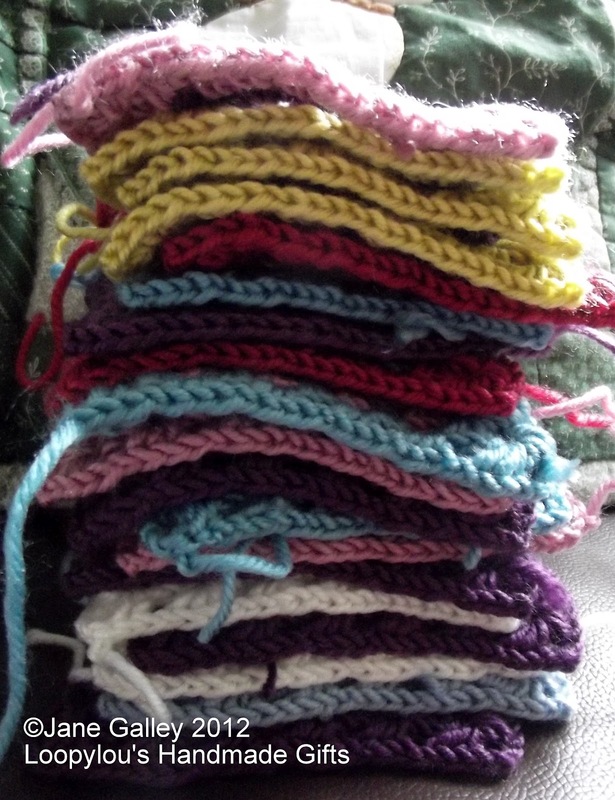 An excellent use of a down day, I say...as are these lovely squares. I'm amazed at how productive you are, even when feeling under the weather. I hope you're better today. Wow! You sure have been productive for someone under the weather. Although it is nice to sit and crochet when you don't feel well. Your stack is getting larger by the day! I hope you are feeling better again. Nice looking pile of blocks. What's in your Embroidery Hoop? Handmade with love… a Tarralee Teddy is mine! Theme images by gmutlu. Powered by Blogger.